All about State Bank of India (SBI) Specialist Cadre Officers (SCO) Recruitment ✓ Notification ✓ Application Form ✓ Syllabus ✓ Admit Card ✓ Eligibility ✓ Question Papers ✓ Answer Key ✓ Exam Date ✓ Exam Pattern ✓ Cut-off Marks ✓ Preparation Tips for the post Specialist Cadre Officers online examination will be held on January 17, 2017. State Bank of India invites on-line applications from Indian citizens for appointment in following Specialist Cadre Officers posts in State Bank Group. 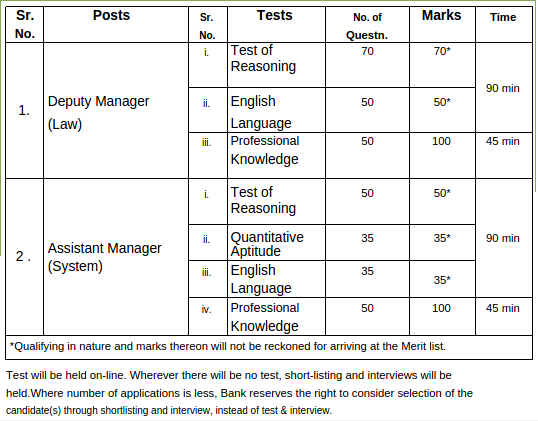 Candidates are requested to apply on-line through link given in “career with us” section of Bank’s website www.statebankofindia.com or www.sbi.co.in. If CGPA scores or similar scores are awarded instead of marks, candidates must produce a certificate from the University /Institution which has awarded the score showing the equivalent percentage. CA candidates engaged in their own practice are advised to submit sworn affidavit on stamped paper showing period of post qualification experience, if called for interview. Category: SC- Scheduled Caste, ST- Scheduled Tribe, OBC- Other Backward Classes, PWD- Persons with Disability, OH- Orthopedically Handicapped. Manager & Asstt. Manager (Chartered Accountant), Manager (Official Language), Dy. Manager (law), Dy. Manager & Asstt. Manager (Civil Engineer), Dy. & Asstt. Manager (Electrical Engineer), Asstt. Manager (System), Chief Manager (Economist): The selection of candidates will be on the basis of online written test and interview. The test will be conducted tentatively on 17.01.2017 (In case the number of applicants are less, Bank reserves the right to complete the selection process through shortlisting and interview instead of through online written test and interview). 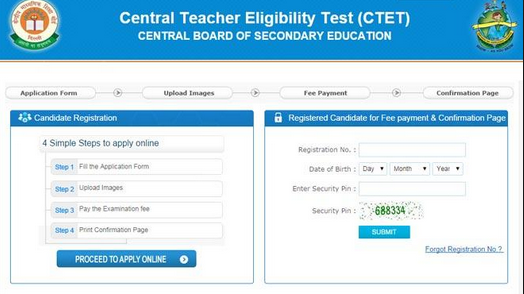 The date of test will be uploaded on Bank's website and also advised to the candidates through SMS and e mails. Candidates will be required to download the call letters. The test may be held at Ahmedabad, Vadodara, Bangalore, Bhopal, Raipur, Bhubaneshwar, Chandigarh, Jammu, Srinagar, Chennai, Madurai, Guwahati, Hyderabad / Secunderabad, Vishakhapatnam, Kolkata / Greater Kolkata, Lucknow, Varanasi, Mumbai / Greater Mumbai / Thane / Navi Mumbai, Nagpur, Pune, Dehradun, Jaipur, New Delhi/ Delhi/ NCR, Patna, Ranchi, Ernakulam & Trivandrum centres. The Bank, however, reserves the right to add or delete any centre and allot the candidate to any centre other than the one he/she has opted for. Visit Bank's website www.statebankofindia.com OR www.sbi.co.in "careers with us" Recruitment of Specialist Cadre Officer in State Bank Group. The candidates should download their call letter and an “acquaint yourself” booklet by entering their registration number and password / date of birth, from 01.06.2017 from the Bank’s website. NO HARD COPY OF THE CALL LETTER / ACQUAINT YOURSELF BOOKLET WILL BE SENT BY POST. PROOF OF IDENTITY TO BE SUBMITTED AT THE TIME OF EXAMINTION: The candidates must bring one photo identity proof such as Passport / Adhar / PAN Card / Driving Licence / Voter’s Card / Bank Passbook with duly attested Photograph by the Branch Manager / Identity Card issued by College or Institution/Gazetted Officer in the official letter head, in original as well as a self attested Photocopy thereof. The photocopy of Identity proof should be submitted along with call letter to the invigilators in the examination hall, failing which or if identity of candidates is in doubt the candidate will not be permitted to appear for the test.